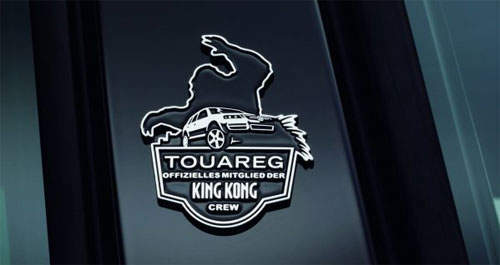 Supposedly in the filming of the blockbuster movie King Kong, Volkswagen Touaregs were used to ferry around the film crew. 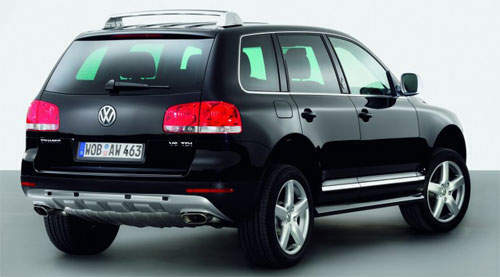 In commemoration of this, Volkswagen has released a limited run of vehicles called the Volkswagen Touareg Kong. The Touareg Kong comes in an exclusive Kong bodykit, with widened colour-coded sills and new 19″ Avignon alloy wheels in sterling silver wrapped with 275/45/R19 tyres. Two petrol engine options are available – a 3.2 litre V6 making 241ps and 310Nm of torque. The other option is a 4.2 litre V8 making 310ps and 410Nm torque. There are also 3 diesel engine choices. There is the low-end 2.5 inline 5 cylinder making 174ps and 400Nm torque. In the mid range you have a V6 TDI making 225ps and 500Nm torque. 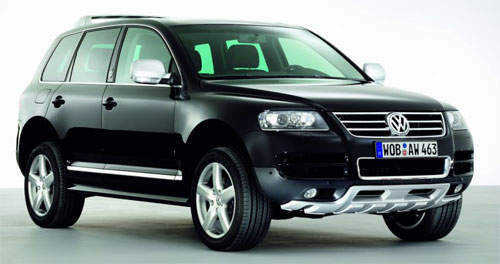 The top-end diesel Touareg Kong runs a V10 TDI making 313ps and 750Nm of torque. That’s ALOT of torque! There is a King Kong Crew member badge on the B-pillar. The interior has been souped up abit with better trim. A DVD player and full entertainment system has been installed. 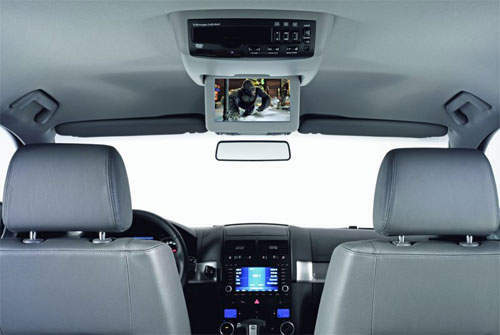 Rear passangers have a wireless headphone system so they can watch their DVDs with full aural experience while the driver concentrates on driving.